As you may already be aware, Cub Scout Pack 99 participates in the Pennsylvania State Adopt-A-Highway program through which volunteers beautify roadsides two miles at a time. In return, PennDOT posts signs along the highway giving us full credit for our efforts. Pack 99 and Troop 99 together take responsibility for the two-mile stretch of road on SR 413 between Durham Road and Twining Bridge Road. 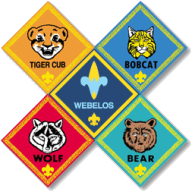 Traditionally for the Cub Scout Pack, this activity has been handled by only the Webelos dens because of the safety concerns related to the younger boys along such a busy road. Further, out of safety for our families, we will plan to start at 8:00a so we can be finished before traffic builds too heavily. * We will park at Rose Bank Winery with special permission from Mr. Fleming, owner. I expect to have bags, signs, safety-bibs, gloves, etc. that I'll pick up tomorrow from the department of transportation. As a reminder for all of the boys who have not yet earned their Citizen pin and Webelos badge, this is an opportunity to complete a service project that meets requirement no. 8 for the Citizen pin. P.S. The weather forecast is favorable but in the unlikely event that we'll have to cancel due to inclement weather, I'll email everyone and will update the pack website by 7:00a Saturday morning.